Neurotransmitters are at the foundation of many psychiatric and neurological disorders. Imbalances in neurotransmission, due to excessive or deficient neurotransmitter levels at the synaptic cleft (in the brain), are associated with depression, insomnia, anxiety, behavioral disorders, memory disorders, and a spectrum of other brain-relationed functions. 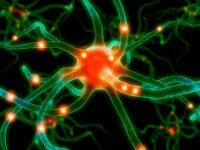 Because neurotransmitters play an integral role in these disease states, they are prime targets for treating disorders of the nervous system and mental health concerns. External interventions can alter nervous system function. These may include pharmaceutical medications or nutritional supplements. Pharmaceutical medications influence neurotransmission while nutritional neuromodulators utilize dietary constituents and naturally-derived substances to influence neurotransmission. Nutritional neuromodulators include various amino acids, standardized herbal extracts, vitamins and minerals, and phospholipid derivatives. Pharmaceutical and nutritional neuromodulators can be classified based on their function in the nervous system.